Tech companies are coming to Apple's defense in its battle with the FBI. A group of 15 companies -- including giants like Amazon (AMZN), Google (GOOG), Microsoft (MSFT), Yahoo (YAHOF) and Cisco (CSCO) -- filed a joint brief on Apple's behalf. The filing argued that the way in which data is stored and encrypted is "at the core of the products' identities." The FBI's demand that Apple help it hack into the iPhone of one of the San Bernardino terrorist "does not just seek objectionable technical assistance; it seeks the ability to compel technology companies to modify their products, on spec, for the FBI in ways that are contrary to their core values," according to the brief. That, the brief says, "raises serious First Amendment problems, because it would allow a court to compel protected speech." A separate brief filed by a coalition of 17 other tech companies, including Twitter (TWTR), LinkedIn (LNKD), Reddit and Airbnb, also backed Apple. They argue that this case "threatens the core principles of privacy, security, and transparency that underlie the fabric of the Internet." "In the midst of this digital revolution -- and the ever-present and increasing dangers posed by hackers, identity thieves, and other wrongdoers -- ensuring that users' data is handled in a safe, secure, and transparent manner that protects privacy is of utmost importance," says the brief. The coalition said it appreciates the government's law enforcement and national security concerns, but argues "The government's demand here, at its core, is unbound by any legal limits. It would set a dangerous precedent, in which the government could sidestep established legal procedures." Intel (INTC) also filed a brief in support of Apple, saying the company "opposes any attempt to require a company to reduce the security of its products." "Such efforts would chill innovation and ultimately decrease security," Intel's brief says. Thursday is the deadline for companies and other outside parties to weigh in on the case before a federal district court in California. The government has until March 10 to file its argument in the case, and then Apple has until March 15 to file its final arguments. Earlier in the day, AT&T (T) filed a brief also siding with Apple (AAPL). "The government can and should use every means available to it to investigate the tragic events in San Bernardino, and that includes compelling Apple's cooperation to the full extent permitted by law," AT&T says. "In this case, however, the government seeks to compel cooperation that was not intended by Congress, that may risk substantial harm to the security of millions of iPhones, and that put simply, is more than what can be supported under [existing law]." A spokesperson for Verizon (VZ), another Apple iPhone carrier, said the company does not have plans to file on Apple's behalf. However, the spokesperson pointed to a February 29 blog post from CEO Lowell McAdam backing strong encryption and saying it's "paramount to the successful integration and operation of our society." On the other side of the case, three national law enforcement groups filed a brief supporting the government's position. 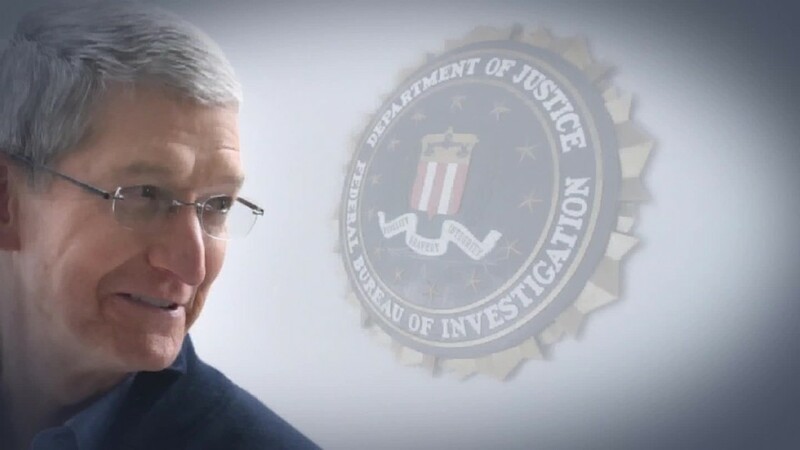 "To be clear: If Apple can refuse lawful court orders to reasonably assist law enforcement, public safety will suffer. Crimes will go unsolved and criminals will go free," the Federal Law Enforcement Officers Association, the Association of Prosecuting Attorneys and the National Sheriffs' Association wrote. The groups commended Apple for being a "valuable partner [to law enforcement] in case after case," but said the company "changed course in a single -- but crucial -- way. That it has done so in a case involving ISIS-inspired domestic terrorism is disheartening." Six relatives of San Bernardino victims jointly filed a brief also backing the Justice Department, arguing that they have "personal and pressing concerns" in the case. The relatives "want and need to know if [the victims] were personally targeted, if others in the community aided and abetted the crime, and if additional attacks targeting them or their loved ones are forthcoming."